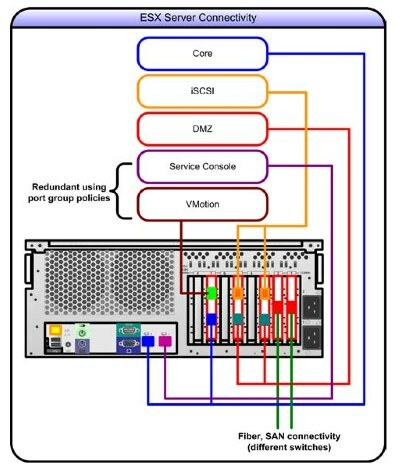 The virtualization software (Hyper-V, VMware, etc.) has to be on a 64 bit architecture, Windows Server 2008 SP 2 or R2. You cannot have the Unified Messaging (UM) server role installed on a virtual machine, officially as of now it is too CPU intensive to be virtualized. I have heard of people avoiding such warning, so move forward at your own risk. Keep in mind software based snapshots are not supported in a virtual machine. Client Access Server: POP3, Web Services etc. Edge Transport Server: Perimeter security for routing mail in and out of your organization. The storage needs to be block level storage and can be either fixed virtual hard disks (make sure it is not dynamically expanding), SCSI pass-through, or regular iSCSI. Please keep in mind that as of 2010 Exchange doesn’t include support for networked attached storage (NAS). And there is limited support for clustering and database availability groups (DAGs). The root server cannot have any other server-based roles. So no antivirus, backup software, etc. As well, no Exchange, SQL, domain controlled, etc. If you are thinking of using a consolidated server to throw your Virtual Exchange, I would highly advise not to overload the host machine. Depending on mailbox size, and incoming and outgoing mail volume your host could be severely taxed. You will want to configure your virtual processors to take in account of both the I/O’s and host operating system requirements. While UM cannot be combined, it could be very efficient for you to consolidate your server roles on to a VM host. You will want to make sure your memory requirements are sufficient, and that you have redundant NIC’s and other best practices. If you use VMware with SRM, DRS, VMotion and HA, you can have a secure and redundant Exchange environment that is easy to upgrade and provide true high availability.